Like the idea of renting a desk next to a stranger and sharing Wi-Fi, a kitchen and copiers? 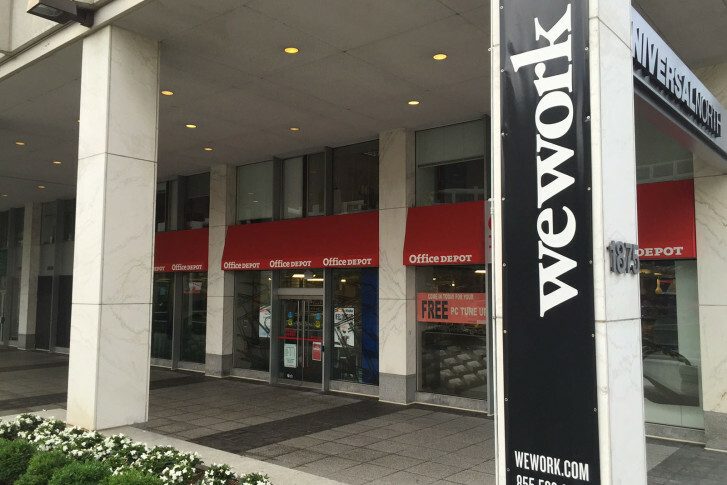 The co-working industry is booming across the D.C. region. WASHINGTON – The fastest-growing kind of office in the District is full of strangers. Co-working space, including big players like WeWork and MakeOffices, as well as smaller shared-space landlords, can provide a self-employed entrepreneur or small startup with a desk and basic office necessities for as little as a few hundred dollars a month. And because of the type of worker it caters to, the segment is not cannibalizing the traditional office market in D.C.
Co-working space also provides networking opportunities for young entrepreneurs and startups. An independent business owner might need a web designer or someone to provide legal advice — and in a co-working space, they just might find him or her sitting in the cubicle next door. The co-working segment is the bright spot in D.C.’s commercial real estate market right now, but there are concerns. JLL said the office vacancy rate in D.C. is currently over 12 percent, and the most reliable sources of large leases — law firms, lobbyists and government agencies — are cutting back on the amount of office space they need. “With eight groundbreakings in downtown D.C. (in the second quarter), we expect to see supply outstrip demand over the next 24 to 36 months,” Homa said. Those development projects will add a total of 2.8 million square feet of office space, even as D.C.’s net absorption year-to-date is minus 372,000 square feet — meaning more office space in the District has been vacated than has been leased. Much of that new office space is considered “trophy” space, meaning the top end of the market. Much of it will be priced 15 to 25 percent above prevailing market averages, which JLL said will drive more competition for less expensive Class B and Class C office space in good locations. Although the District benefits from the urban migration trend, the geographic scope of leasing activity continues to widen. JLL said suburban Maryland and Northern Virginia each outpaced the District in leasing velocity during the second quarter.